"Going to shillong..to take course on Livable Planet earth at iim. With @srijanpalsingh and sharma" - This was the last tweet of our ex- President A P J Abdul Kalam on his official twitter handle. The untimely death of the legend and the man who had big dreams for India has shocked the public. Within minutes after the official confirmation of his demise, social networking sites have been flooded with condolence messages from people across the globe. Shah Rukh Khan: So sad to hear about the Gurdaspur terror attack & now the news of Dr. Kalam's demise. May Allah bring peace upon all. Shankar Mahadevan:Extremely sad day for all Indians .. APJ ABDUL KALAM passed away .What a source of inspiration he was ! 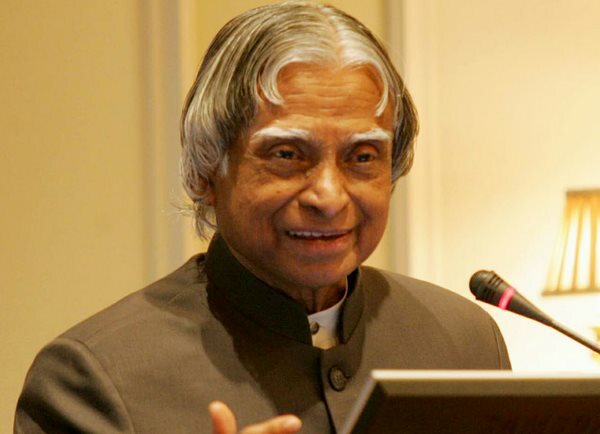 Rajamouli S. S.: Abdul kalam - an inspiration to an entire nation.. Sir, we are forever indebted to you..!!! Khushbusundar : My most prized possession will always be an autograph by the great #Dr.APJ..was such a warm humble man with an ever welcoming smile..